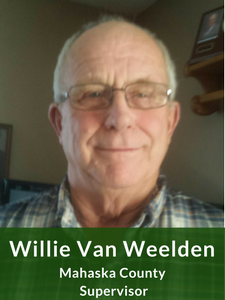 Willie Van Weelden serves as vice-chair on the Board of Directors at Pathfinders RC&D, and is a Mahaska County Supervisor. Willie has served on our board twice, totaling 15 years of service. 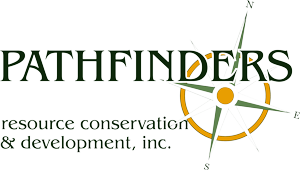 When Willie first became a supervisor and Pathfinders Board member in 2000, he was not familiar with our organization. 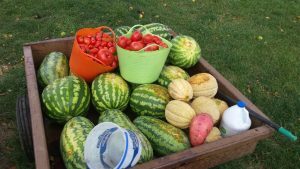 However, he soon took an active interest in Pathfinders’ activities, and it was thanks to Willie’s initiative that the Buy Fresh, Buy Local program was started in southeast Iowa. Willie grew up in Mahaska County, outside of Oskaloosa. After serving in the Air Force, he returned to the area and raised his family there. Today, 2 of his 3 daughters live in the area, with two great-grandchildren on the way to join the ranks of 9 grandchildren! Farming was the family trade for years, and even after scaling down, Willie still maintains a prolific 12 acres. 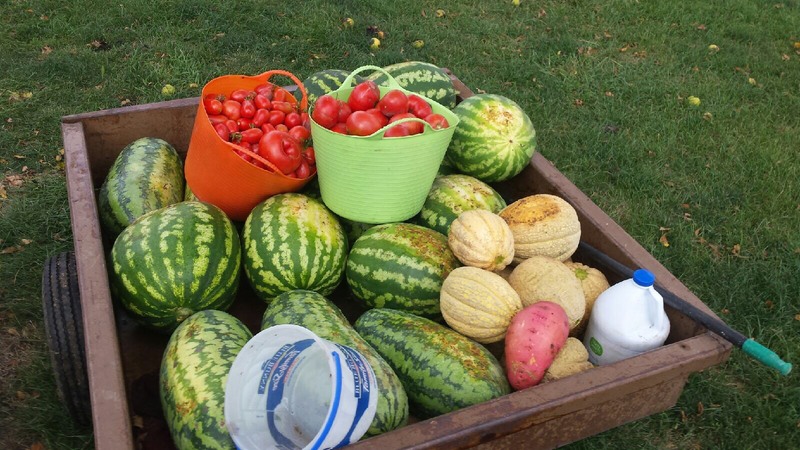 “I love gardening and like to keep friends and family stocked with fruit and vegetables.” He is particularly proud of his watermelon haul in 2017, despite the drought.